I believe the answer is yes. Wes looked into it once when he was considering buying my '82 "R", and discovered that the holes wouldn't match the ones on his Sixties model. The whole tailpiece was different in the Sixties than it was in the Eighties. Yeah, the sixties versions had the screw holes slightly wider apart (it might be the other way around....I can't remember). If I can get some time and a screwdriver together in the next few days I'll take a picture. 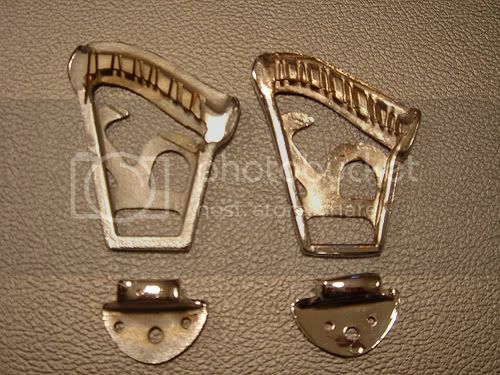 I believe the actual tailpieces are the same, right? Only the brackets are different...? I'll need to compare those too. Here's a thread where we discussed the differences. Too bad the pictures have been removed but there's more info about it. kiramdear wrote: Here's a thread where we discussed the differences. Too bad the pictures have been removed but there's more info about it. That is why I prefer to attach my photos! Weird. I've changed the hardware on two of my '67 Rics and never run across this. Maybe it's the earlier ones that have the wider spacing? Well ****. This means I need an early '60s "R" tailpiece bracket, stat. So...does anybody happen to have an earlier bracket? I looked through my stuff and thought I had one, but no. 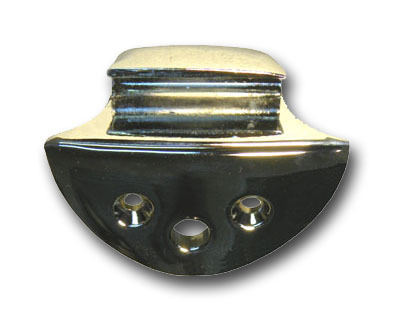 I think I heard that replacement brackets are available for the old style from another maker. I think my buyer mentioned that, but he wanted the upper part to be period, too. 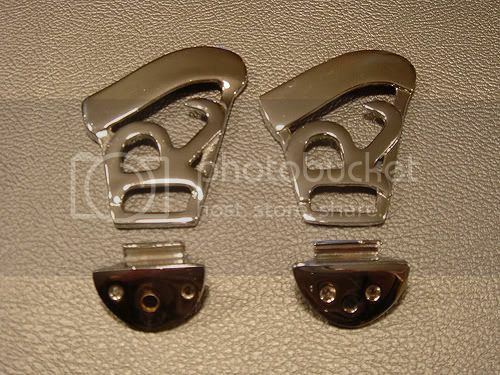 collin wrote: I believe the actual tailpieces are the same, right? Only the brackets are different...? Definitely different. Vintage on the left. This one doesn't match the hole pattern on my '65. Seems like many (most?) of the vintage ones were drilled crooked/differently. I did this to mine, kept the holes intact. I prefer the trapeze. 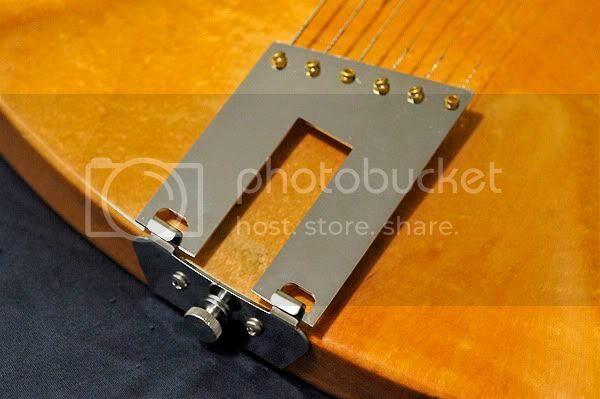 I took the above comparison pics when I got that tailpiece (off a '66, I think?) to put on my '65. The holes look drilled by hand to me since they're neither level, nor equal distances apart from the strap button. * sorry the pics disappeared from that earlier thread. When I changed my Flickr preferences, it changed the urls of all my photos. Great pics Wes. It looks like the string slots were cut after it was cast on the vintage, and the newer ones the string slots are part of the casting. 1965 wrote: Definitely different. Vintage on the left. This one doesn't match the hole pattern on my '65. Seems like many (most?) of the vintage ones were drilled crooked/differently. Y'learn something new about this stuff every day. I will quote myself here and answer my own question! Imagine my surprise when I dissasembled this 6 string parts guitar and found the R tailpiece was already cut for 12 strings (were they all like that?). You guys are right, the bracket holes are all funky---I think the drill meister was drunk the same day for yours and mine both, Dan. Also, is the casting usually this rough for the older R's ? They are definitely different than modern ones, for sure. Much flatter, and rougher. I've seen lots of 12-string tp's on 6-strings, usually BT though.